John Wick is an Avenger now. Like, in a sense that new fan art shows him in the Marvel Cinematic Universe. After Marvel dropped a lot of posters for Endgame recently, fans took the opportunity to make a meme out of “Avenge the Fallen” phrase. One fan went on to make a John Wick poster with the same catchphrase which had him with his pup. 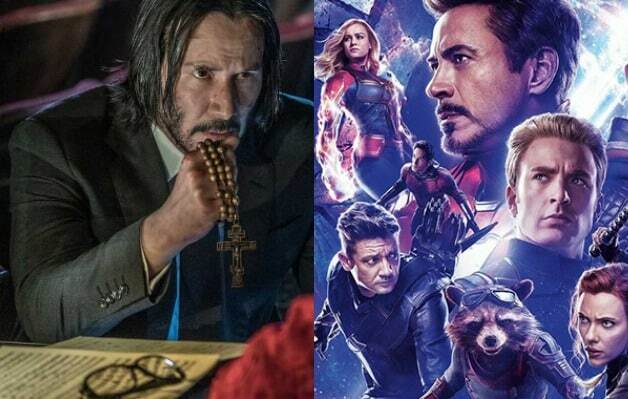 New ‘Avengers: Endgame’ Fan-Art Has John Wick! This fan-art was caught on by the official John Wick Twitter which retweeted the poster captioning it with “Whatever it takes”, which is the recent catchphrase as per the Avengers: Endgame trailer. It’s going to be an exciting few months for both Summit Entertainment and Marvel Studios, with each’s biggest movie set tone released soon. Fortunately, for all John Wick fans, Parabellum may not be the end of the journey for The Continental. As per Chad Stahelski, they will continue making films until they keep performing well at the box office. Avengers: Endgame will hit the theaters on April 26th. Meanwhile, John Wick: Chapter 3 – Parabellum will release on May 17th.